The hills are alive…with Cornalin grapes and the sound of music! This is not about singing or yodelling up the mountainside, but about a unique music festival, which established itself in Saas-Fee, the Swiss Alpine resort in July 2014. The brainchild of Maria Wildhaber, the Founder and Artistic Director, the Talis Festival and Academy is conceived as a cross-cultural opportunity for young artists who work together with world-recognised musicians on site for chamber music concerts in this village gem in the Valais region of Switzerland. The first Talis festival took place in July 2014 in the intimate Evangelical church nestled in the foothills of the 4000 metre glaciers of the Allalin range. At the opening reception an exceptional house wine was served by the Dom Hotel. Specially bottled for the Dom, the Cornalin grape comes from the Valais region. It is an ancient variety, with apparently the first recorded mention at the start of the 14th century – monks undoubtedly. It has been described as out of the ordinary and one of the best valaisan reds, spicy clove and fruity black cherry. But back to the Festival. The young artists make applications online from around the world, and the auditions are also online. Musicians from afar – Australia and Asia to the US and Europe – take part! 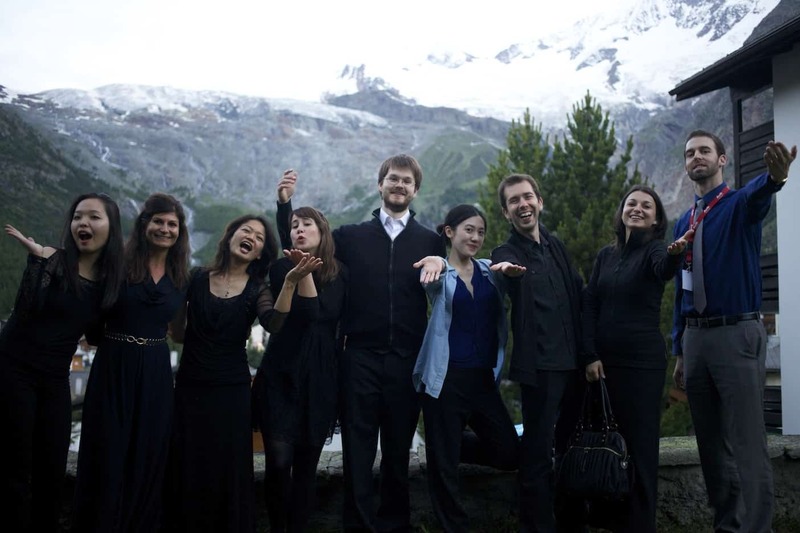 The selected finalists come to Saas-Fee a few days ahead of the performances and intensively work, study and rehearse with the Talis faculty. The final performances are with all performing as peers. Eight faculty and 16 students took part and performed at the first Talis Festival held in July 2014. The result is an exceptional experience for all – the audience and the musicians. And especially for the student musicians, who would never have the opportunity to perform with professional musicians – except for the environment and opportunity that Talis provides. Reaching out to kids and opening up the world of music to them is another happening at Talis. Children from the village are invited to observe rehearsals – often taking place on an open terrace of the Dom Hotel. 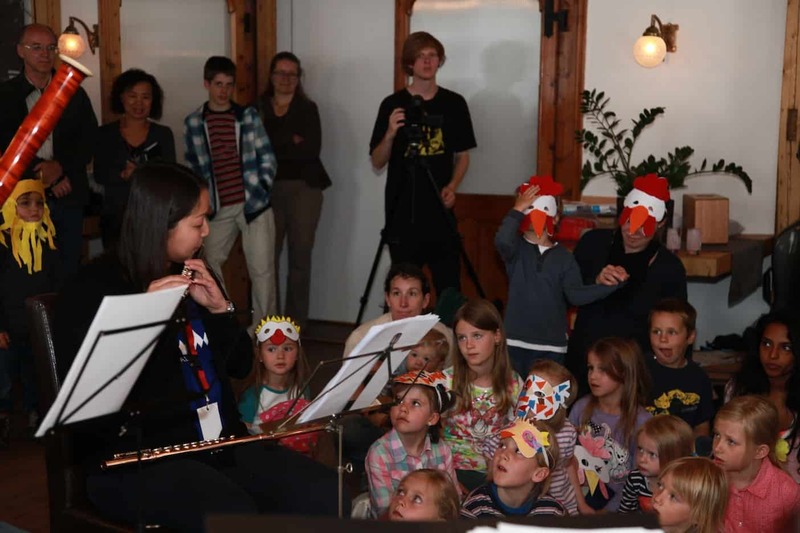 They also have the opportunity to participate in the programme, for instance, appearing in animal masks and dancing to the Carnival of the Animals while the musicians played. In the words of Maria, a professional bassoonist herself, “Talis provides an opportunity for students from around the world to experience the professional world of music from the inside.” The bridge from online selections to in-person performances has worked miraculously! 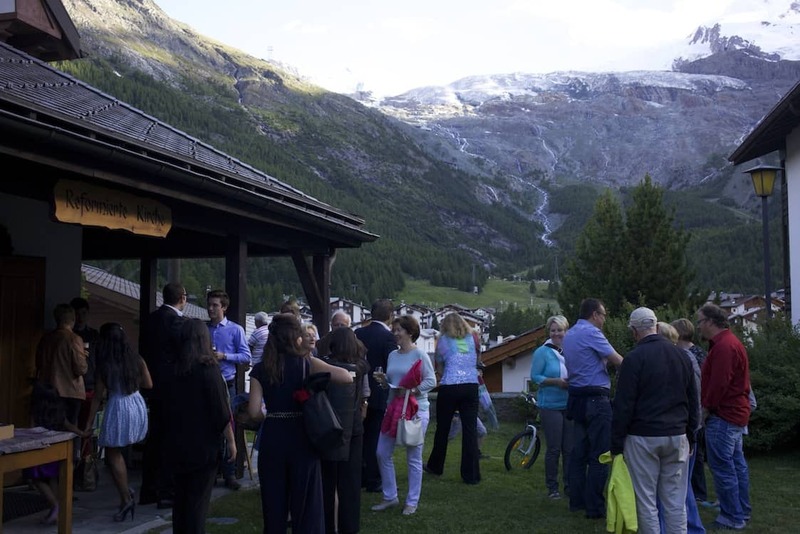 Luckily, the second Talis Festival is coming up: from 19-26 July 2015 in Saas-Fee. Renu is a writer, who has lived and worked in the Geneva area for twenty-something years.